This powerful, large capacity forced air laboratory oven uses heated air to remove unwanted compounds from products that are not temperature sensitive. Our ovens feature horizontal airflow that enables more consistent distribution of air. They are designed to have uniform temperatures and airflow across the shelf space from right to left. The CDO-28 includes a built-in humidity sensor and fine micron mesh bags for drying or decarboxylating powders or ground material. Drying organic material. Drier material will yield better results than processing wet material. Removing as much moisture as possible pre-processing will save time in in the post process of vacuum purge and winterization. Includes 6 sliding, extend and stay in place shelves for ease of loading. Stainless Steel. Triple wall construction meets CE, UL and TUV requirements to keep work-spaces cool. Have questions? Call 503-847-9047 for laboratory drying expertise. Free Shipping Note: When ordering online shipping is free! The CDO-28 Dry & Decarboxylation Oven is shipped as heavy freight. Delivery to residences or no-forklift locations will add $120 for liftgate service. Cascade will contact you to arrange your specific delivery requirements. The Cascade Sciences CDO-28 is equipped with a heating cutoff system that will automatically stop power to the heaters when the overtemp setting is tripped. This protection system will provide peace of mind for overnight or unattended drying processing. NRTL Certification. No Extra cost. 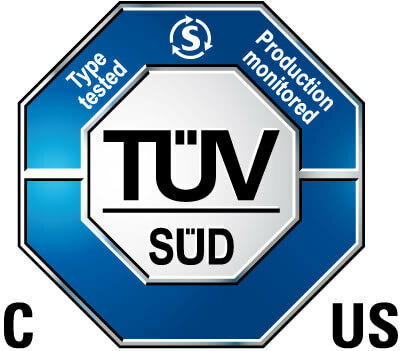 The CDO-28 Oven comes certified by the Nationally Recognized Test Lab, TUV. This certification is a requirement by many municipalities.